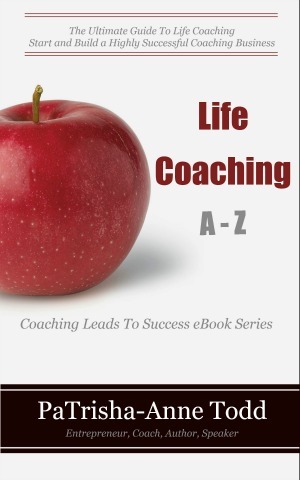 Life CoachingA-Z eBook series with companion workbooks - The ultimate guide for novice and emerging Coaches, both Life Coaches and Soul Coaches who want to dig deep into the Craft of Life Coaching and set up and own a thriving and sustainable coaching business. LifeCoachingA-Z If you are looking for an easy reference guide to build your coaching business into five, six and even seven figures then this series of guides is the something that will help propel you to success, one step at a time. marketing effectively to guarantee a steady stream of quality clients. With my Six Step Coaching Model you'll achieve your goals in record time. Each eBook offers specific information that helps and supports you build a thriving successful coaching business. As you read each book you'll garner exactly what you need to know for each part of your ultimate coaching business growth plan and layer-up your professional status. Now is the best time to discover exacty what you need to do to ensure your coahcing business provides the best possible client happy coaching programs and you'll thrive in the process. Read section by section on how to hone your coachihg skills and substantially increase your income. Read how to attract your ideal coaching clients who want to stay with you for months and even years to come. Develop the best coaching niche that will attract an endless stream of quality paying clients. Understand how networking can easily fit into your weekly and monthly working plan. NEW Companion Work Books designed to help you to turn your coaching skills into a powerful resource. Each work book has been designed to broaden your knowledge base of coaching and guide you to build a profitable coaching business. business system you can build a; 5, 6, and 7+ figures coaching business.